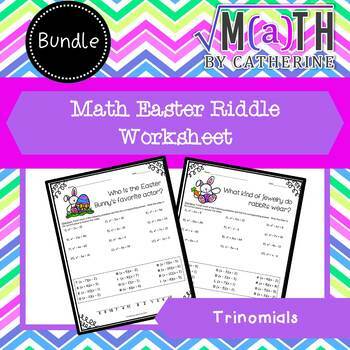 This bundle includes two different worksheets on factoring trinomials with Easter themed riddles. Rather than buying just one product you will get both and be able to give students different ones or give them both. 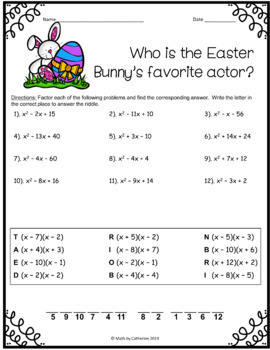 Try these other Easter Activities as well!